School security has grown into a multi-billion industry and with every school shooting, more products and services pop up. Bulletproof whiteboards, backpacks, and doors that can be locked remotely. School security has grown into a multi-billion industry and with every school shooting, more products and services pop up. As part of the Marjory Stoneman Douglas Act, funds were given to schools to make them safer. Curt Lavarello is the executive director with the School Safety Advocacy Council and says some of those well-intended products can actually make students less safe. “Some of the products, I don’t ever mean to take away, some of them could be very good, and they can be very effective, but we also see products out there that could have adverse effect on school safety,” Lavarello said. Take bulletproof glass for example. Lavarello visited a school district in Colorado that had spent over $300,000 to install bulletproof glass in all its schools. “We approached the administration we said, you’ve created traps,” Lavarello said. In the case of a fire or another emergency, the students would be trapped inside their classrooms, Lavarello argued. The school security industry has ballooned to $2.7 billion in 2017, according to IHS Markit data. School officials have to figure out which products are actually helpful in making their students safer. At Jupiter Christian School, a private school, a new ASR Alert System was just installed. “You press the button and it automatically alerts all the individuals inside of the school,” Hector Delgado with ASR Alert System said. It functions like a fire alert system, instantly alerting police and first responders, as well as everyone in the school. Dan Steinfeld, president at Jupiter Christian School, said school officials feel the pressure after a school shooting to do something. 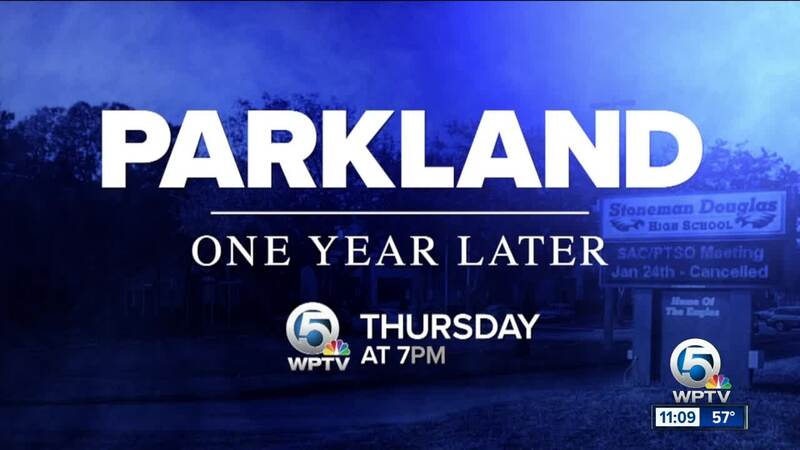 “Parents tend to react to events that happen in the news, so Parkland, absolutely, school security becomes a high priority to our families at that time,” Dan Steinfeld, president with Jupiter Christian School, said. Lavarello said those in the school safety industry know that demand on their services increases after school shootings. “Right after every school shooting we’ve had, we see an uptick in terms of sales and solicitations being made to school districts across the country,” Lavarello said. 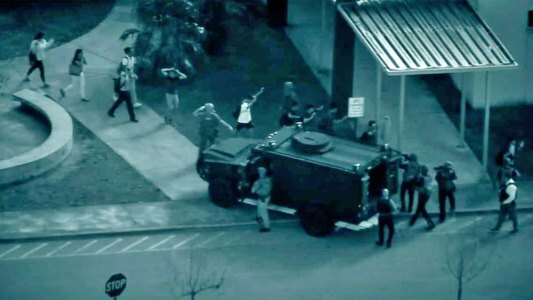 Contact 5 found the Palm Beach County School District, Indian River and St. Lucie school districts said were flooded with emails after Parkland, offering services. Among the hundreds of emails, the school district got one by a West Palm Beach security company the day after Parkland. “It’s so sad with the Florida shootings yesterday and I hope that we can work together,” the email stated. ASR Alert System also emailed the school district and so did another Florida-based company, GEO Command. “It allows us to take information from 30,000 feet above and take it directly to a building,” Albert Koenigsberg with GEO Command said. Asked if there is ever a concern in emailing a school district so close to a tragedy, Koenigsberg said this is about much more than making money. “I cried my heart out about what are you going to do? Wait until our kids get killed? So, I didn’t have a concern,” Koenigsberg said. GEO Command is a system that allows first responders to have immediate access to cameras in schools as well as see the outline of the classrooms. Koenigsberg said the system is currently being used by around 25 schools along the east coast. ASR Alert Systems was just implemented at Jupiter Christian and varies between $20,000 and $40,000. The problem remains for school officials to make the decision whether the products are legitimately helping schools become safer. “We’ve received calls, countless calls, from Florida schools, asking us if we had any way to help them because they had no knowledge of doing an assessment list,” Lavarello said. Lavarello said many of the products and services currently offered can create a false sense of security. To make it work, Lavarello said, staff would have to stand guard at every door, every window that could allow a student to enter. He’s also critical of arming teachers. Lavarello advises school districts to consult experts in the field and get input of what is going to make their schools safer.